Pop a shortened version of the word "popular" which the dictionary defines as being "of all the people or for the masses". That being so, then any band that plays pop music cannot and should not be clumped into any one genre, because pop music is a combination of all forms of the music that most of the people like. Take, for example, Supremium. The band's musical influences range from the r&b early Motown sounds to southern rock, hard rock, blues, early 80's punk and, of course, anything by The Beatles or early British invasion bands. Their collective experience playing with other groups and musicians also explains the varied styles that show up on their debut release. Members of the band have played with everyone from The Romantics, to Adam Ant to members of Tonic, Roadhouse and even actor Johnny Depp. These influences are evident in the songs on their new CD on Smile Records, "Tales". 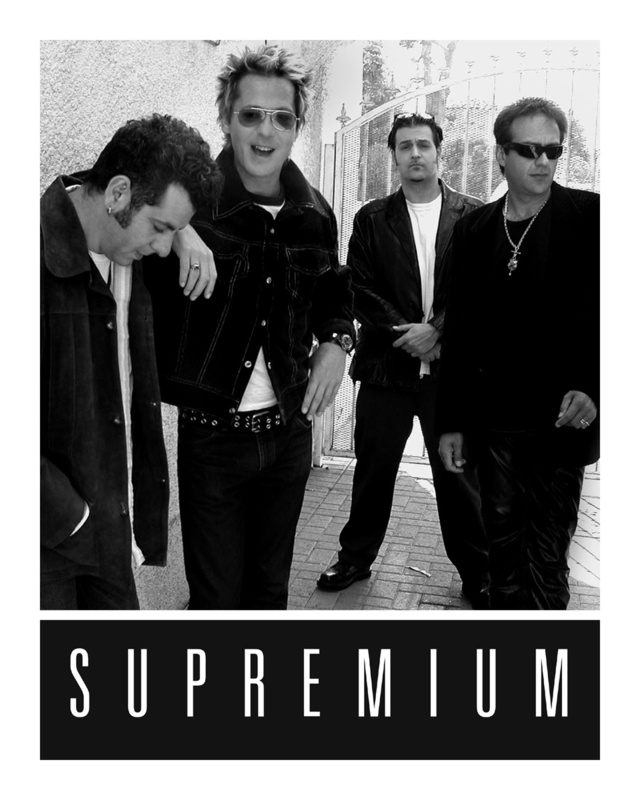 Supremium have been together for the past couple of years, quickly becoming one of the frontrunners of the flourishing power pop scene. Bassist Bruce Witkins had come to L.A. from Florida with his best friend and bandmate, Johnny Depp. Adjusting to the LA music scene took its toll on that group, but not on some of his oldest friendships and band partners. He and drummer Rob Klonel had played in a number of bands together, and together they recruited Coz and Doug. Doug Nahory had played with Bruce years earlier, and though the two hadn't spoken since that band had broken up, he was Bruce and Rob's first choice to play keyboards. Coz Canler had been a childhood friend of Bruce's and was currently playing with The Romantics, but Bruce's invitation to come join Supremium was just too tempting to turn down, not to mention the chance to leave Detroit winters for southern California. Musically, they are a blend of all their influences a power pop band with the rhythms of r&b roots and heavy guitar riffs of hard rock. "What She Needs" is a perfect example of this harmonious blend of different musical styles. The foot-tapping rhythms, and vocal harmonies are reminiscent of 60's British pop, while "The Girl I Want" is a ballad that brings back the power ballad of 80's rock. "She Is Everywhere" is a guitar-driven hard rock song and "Fall Out" is a mellow pop ballad that almost rings of folk rock influences. Yet the cohesive structure of the record brings these varied musical styles into a pleasant, fun listening experience. There is something for everyone on "Tales".